With SignalMind you can create beautiful and flexible forms for lead generation, newsletter signup, giveaways, feedback, or surveys. Forms are customizable both visually and functionally, and you can include any form fields you need, in any order. Leads collected via your mobile form are saved in your account (where they can be exported in Excel format) and optionally emailed to you or your client. 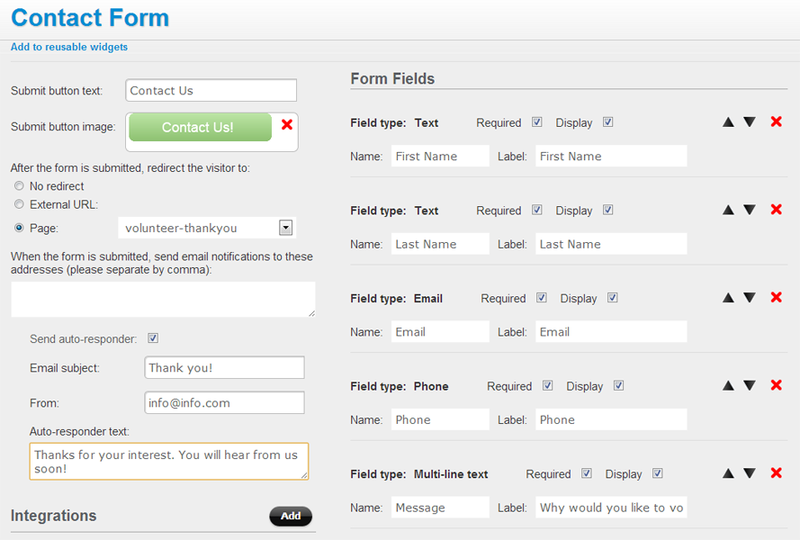 Forms come with an auto-responder option (send a message to the person who submits the form). Send your forms' submission data to popular marketing and CRM tools. 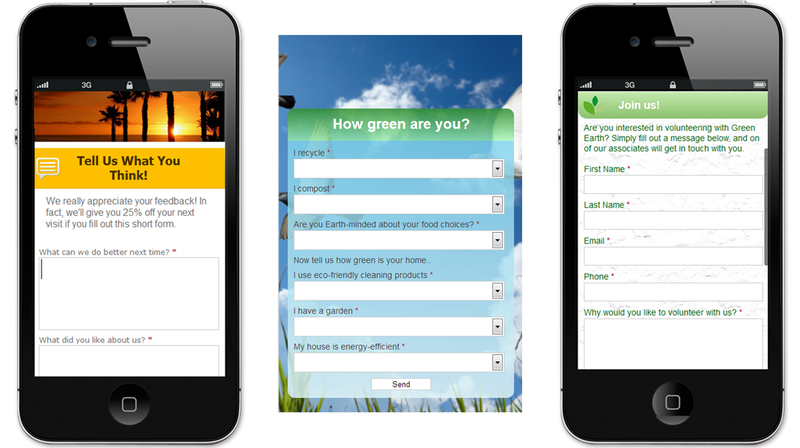 Custom form field mapping to initiate 3rd party marketing campaigns based on the visitor’s interest or source.